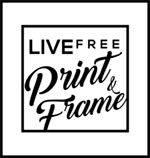 If you currently have a PhotoShelter website you can use LFP as your preferred print vendor. Which means you’ll have optimal control over your print quality. If you are looking for a website to show your work PhotoShelter may be the right choice for you. Check out one of our customers Michael Seamans and Scott Yates did as a sample for what PhotoShelter can do for you. I have used them in the past and their customer service is wonderful. Sign up through our affiliate program and receive a printing voucher from LFP.